Ghana’s President John Mahama has launched a project to build a $10bn (£6.6bn) IT hub near the capital, Accra, within three years. 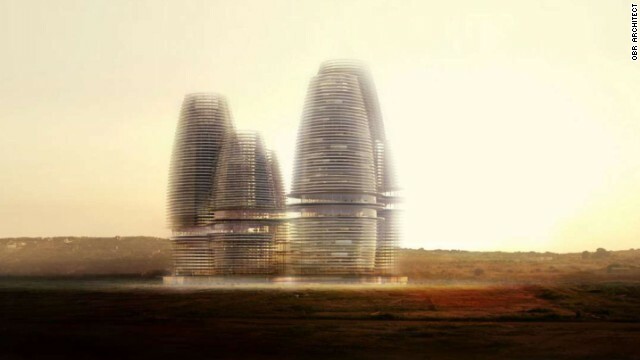 Dubbed Hope City, it will have Africa’s tallest building, at a height of 270m (885ft), an investor says. It will be built on empty land and will employ about 50,000 people and house 25,000 people, the investor adds. In January, Kenya unveiled plans to build an “Africa’s Silicon Savannah” within 20 years at a cost of $14.5bn. Kenya’s Konza Technology City, about 60km (37 miles) from the capital, Nairobi, is supposed to create more than 200,000 jobs by 2030. Mr Mahama said the private sector would spearhead the building of Hope City. “Government has led growth since independence with all the major investments… The time has come for the private sector to take over,” he said at the project’s launch. The head of local technology giant RLG Communications, Roland Agambire, told the BBC that his company was investing in Hope City with the aim of making Ghana globally competitive. “What we are trying to do here is to develop the apps [applications] from scratch,” he said. “This will enable us to have the biggest assembling plant in the world to assemble various products – over one million within a day,” he said. The IT hub would be made up of six towers, including a 75-storey, 270m-high tower, “the highest in Africa”, RLG Communications says on its website. “Hope City will provide work for 50,000 people and will host 25,000 inhabitants,” it adds. It would include an IT university, a residential area, a hospital, as well as social and sporting amenities, the BBC’s Sammy Darko reports from Accra. 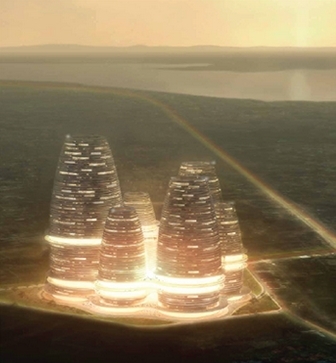 Konza Techno City is located 60 kilometers (37.2 miles) from Nairobi, Kenya’s capital and largest city. The A109 highway connects Konza to Nairobi, Jomo Kenyatta International Airport, and Mombasa, the primary port of entry to East Africa and Kenya’s second-largest city. Konza Techno City aims to foster the growth of the technology industry in Kenya. It is a Kenya Vision 2030 flagship project, as part of the national blueprint to create a competitive and prosperous nation with a high quality of life by 2030.The Government of Kenya hired the International Finance Corporation (IFC) in 2009 to serve as Transaction Advisor to guide and advice on project implementation. Several feasibility studies have been completed and 5,000 acres of land, formerly known as Malili Ranch. •IFC: The International Finance Corporation has been providing transaction support to the project since 2009. •MDP1: Master Delivery Partner 1 has been procured for creating the business and master plan for Phase 1 of Konza (August 2012 – February 2013). •MDP2: Master Delivery Partner 2 will be procured to lead the construction of Phase 1 infrastructure and establish initial real estate development partnerships (June 2013 – December 2017). •Central Business District (CBD): easily accessible to all residents and workers by public transport, walking, cycling and by car. This CBD will contain commercial offices, shops, market, a district hospital, hotels, restaurants, leisure and entertainment facilities and other facilities of this nature. •University campus: capable of accommodating 1,500 students and promoting excellence in research and technology. •Residential community: occupying almost 920 ha, providing almost 37000 homes and accommodating a resident population of 185,000 people. This includes space for the provision of schools, primary health care facilities, churches and other religious facilities, local recreation space and play space, and local shops. •Parks and wildlife: green corridors occupying 624 ha will ensure Konza City develops and improves the environment. Plans to make a significant contribution to wildlife conservation have now been backed by Kenya Wildlife Conservancy. The plans will safeguard the unique ecology of the Savannah whilst promoting accessibly to Kenya’s special environmental habitats. Konza aims to be a global technology hub, focused on four economic sectors that will advance technology spending and technology growth in Kenya. It will begin with a 400-acre first phase with 1.5 million square meters of initial real estate development. This will include the development of US$750 million of on-site infrastructure and US$310 million of off-site infrastructure. Full build out of Phase 1 (2013- 2017) is expected to attract 30,000 residents, 7,500 knowledge workers, and 16,700 total workers. It is recognized that attracting companies will require a strategy rooted in urban development best practices. •Konza Technopolis Development Authority (KOTDA)[Hyperlink to KOTDA page] will usher the development and operations of Konza. It will be focused on building infrastructure, securing real estate deals, and providing world-class services. •Incentives will be provided to companies that align with job creation and technology sector growth goals. •Sustainable and reliable infrastructure will provide the foundation for growth and be delivered through public-private partnerships. 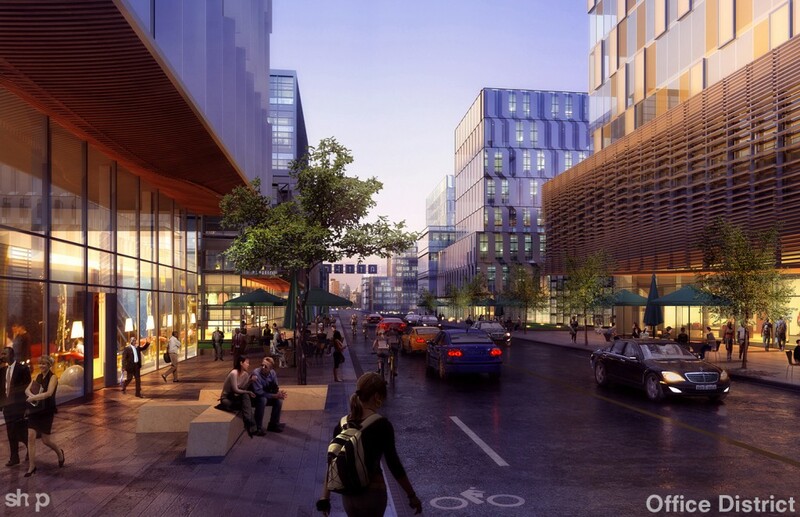 •Active public realm and mixed use will be the hallmarks of Konza’s design, creating a high quality of life allowing people to live, work, and play within walking distance of their home.